Planting this weekend? Remember these tips. We’ve officially reached planting season, and it is now safe to put in warm-season flowering annuals, vines, herbs, and vegetables. Horticulturists at the Chicago Botanic Garden do recommend waiting until Memorial Day for cold-sensitive plants such as tomatoes, peppers, eggplants, and squash. Happy planting! 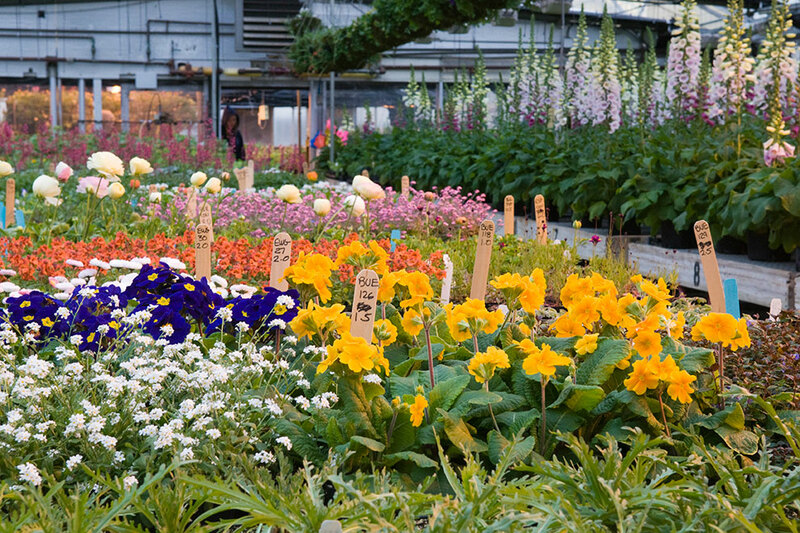 Summer plantings await in the production greenhouses. Pinch back one-third of new growth to encourage stocky habit (except vines). Be sure newly purchased annuals have been hardened off properly before planting them outside. That means moving plants outdoors for a portion of the day to gradually introduce them to the direct sunlight, dry air, and cold nights. 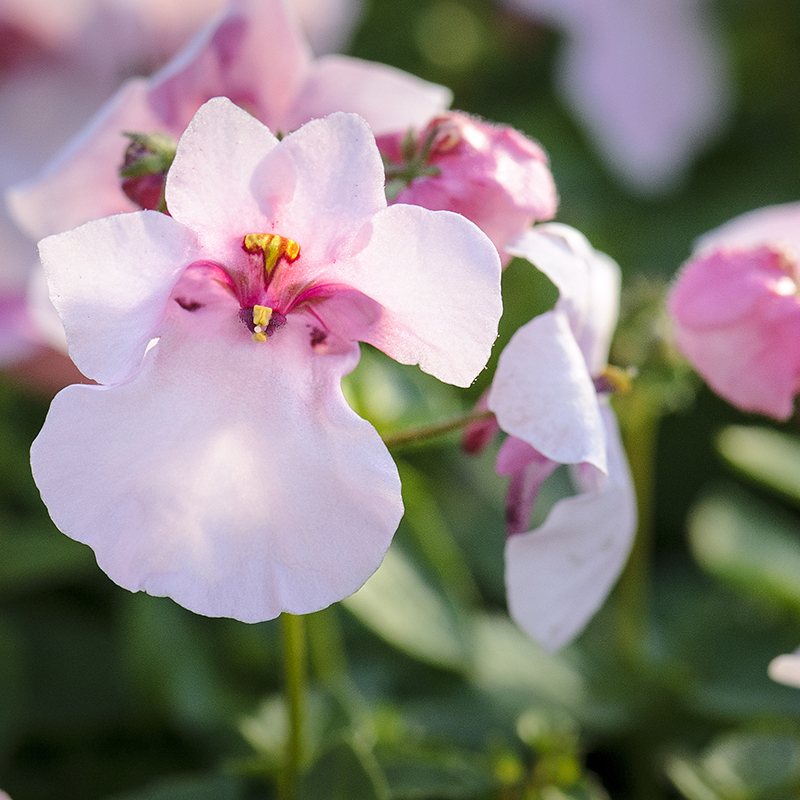 Avoid fertilizing newly planted annuals for two weeks. Continue to plant new perennials, ornamental grasses, and roses in containers. If plant roots are root-bound (encircling the pot), make four cuts into the bottom of the root ball with a sharp tool, and flare the sections outward when planting. Stake tall perennials before they reach 6 inches. Begin to regularly pinch back fall-blooming perennials such as chrysanthemums, asters, and tall sedums. Pinch once a week until the middle of July. This promotes stocky growth. Continue to direct the growth of perennial vines on their supports. Climbing roses should be encouraged to develop lateral, flower-bearing canes. Let spring bulb foliage yellow and wither before removing it. The leaves manufacture food that is stored in the bulb for next year’s growth. Even braiding the foliage of daffodils can reduce the food production of the leaves. Our monthly checklists and Plant Information Service have a host of other gardening tips—including care for lawns, shrubs, and roses. Posted on May 27, 2016 Author Linda BergstromCategories Horticulture & Display GardensTags how-to, planting tips, summer planting checklist1 Comment on Planting this weekend? Remember these tips.